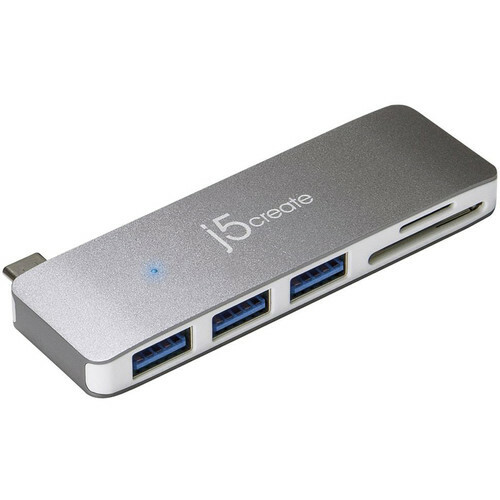 The USB Type-C 5-in-1 Ultra Drive Dock from j5create is designed to expand your system with a male USB 3.0 Type-C host interface and three USB 3.0 Type-A ports, which transfer data up to 5 Gb/s. Additionally, it has an integrated SD and microSD card slot that can hold up to 2TB of external memory. Other features include a bus powered and plug-and-play design along with a built-in LED indicator. Box Dimensions (LxWxH) 5.9 x 3.8 x 1.1"